By customer request we’ve brought back the Triplex Cat House! 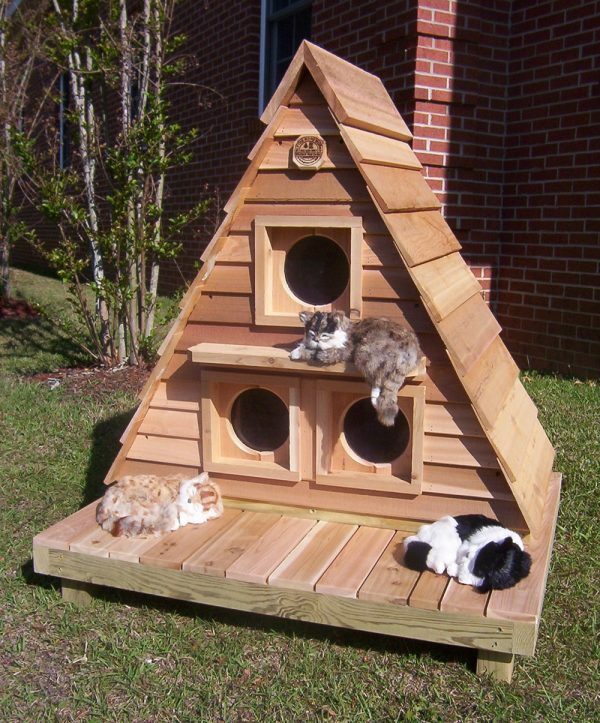 With three separate compartments, it can comfortably house three to six cats, depending on their size. The lower compartment is divided into two sections by a removable divider wall and the upper compartment features a lounging ledge. 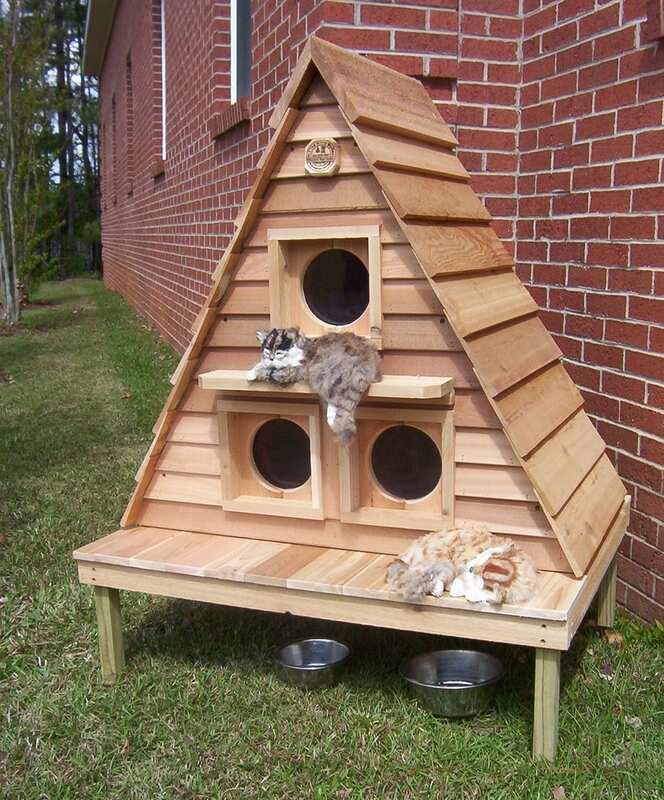 Blythe Wood Works has been listening to our customer’s request and has brought back the Triplex Cat House. 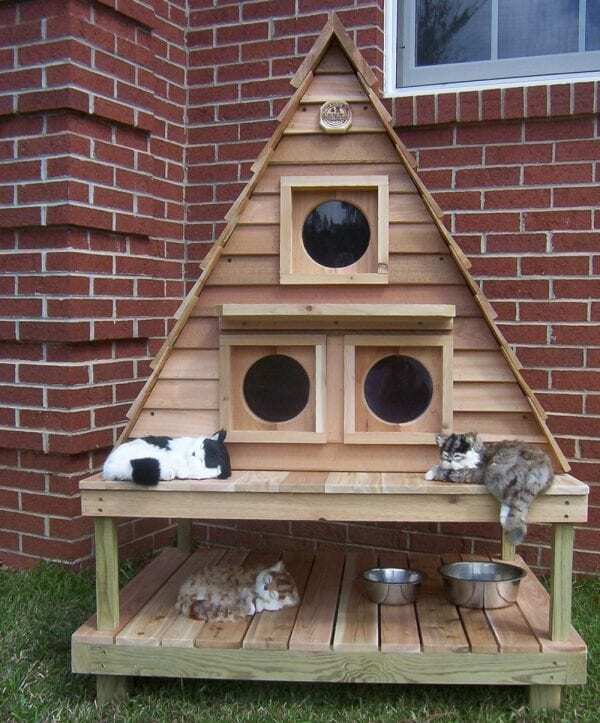 The Triplex Cat House has three separate compartments, and can comfortably house three to six cats, depending on their size. The lower compartment is divided into two sections by a removable divider wall and the upper compartment features a lounging ledge (which also serves as a weather shelter for the bottom two door entrances). 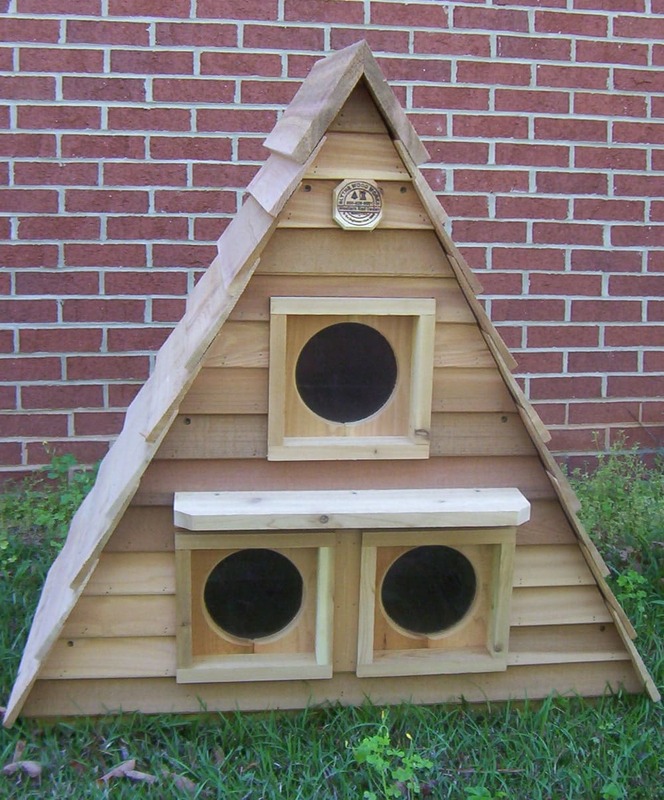 Each of the three compartments has a floor size of 19″ wide by 20″ deep. The Triplex Cat House consists of five pre-drilled, easy to assemble panels. The three 6 inch doors come with a heavy duty vinyl flap door installed. This house comes standard insulated.